I really wanted to post something before now but that desire kept being thwarted by, well, me: My back hurt, my leg hurt, I couldn’t sit, it hurt to stand, I was too sleepy. This morning, for the first time since the surgery, I actually felt pretty good … until around lunchtime. Still, for a few hours I felt almost normal. I assume I’m feeling better because I’ve been doing what everyone keeps telling me to do, namely taking it easy … and healing. I’ve had instances where I was left lying flat in a pain med-induced haze, but they were caused by my own stubborn insistence on doing something like grocery shopping or cooking more than anything else. I find myself looking longingly out the window, my mind working out things I’d like to have done in the garden. I’m coming around, but I’m not pushing it. That’s for later. That’s the latest, here’s the post: Five Six songs with cactus in them. Enjoy! 1. CACTUS by The Pixies (1988): Chugging and creepily obsessive, Pixies’ frontman Black Francis sits on a concrete floor and pines for something — any thing — from an unforgettable woman. Memorable lyric: “…. Bloody your hands on a cactus tree. Wipe it on your dress and send it to me!” Covered decently by David Bowie, this version remains the better one. 2. CACTUS SONG by Bella Hemming (2010): An antidote to The Pixies’ darkness, Australian Hemming belts out a little ditty about the cactus on her window sill. Accompanied only by her ukelele, I think she may be singing about a prickly love interest. Sample lyric: “Oh, my goodness, gracious me, you’re so sharp and needle-y … do you sometimes ever feel alone?” Caution: This song is an ear worm; it played on a continuous loop in my head for days! 3. 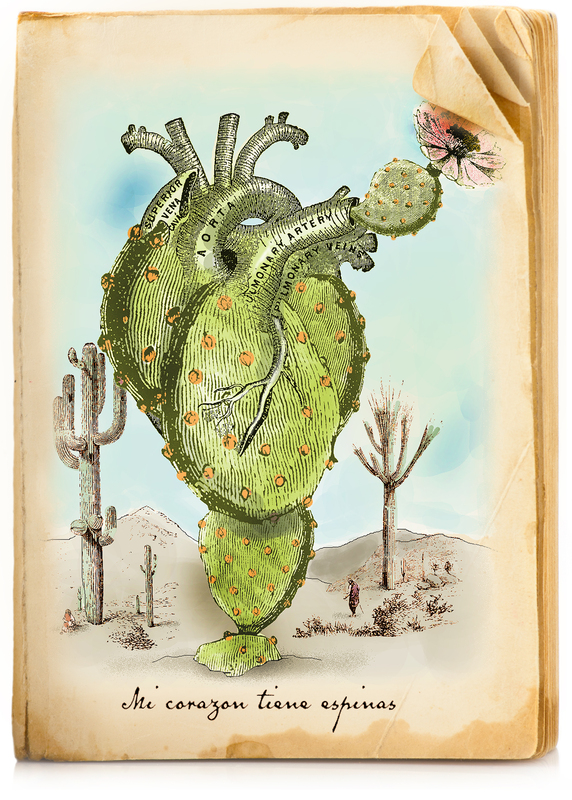 CACTUS by Susan Gibson (2007): Against the backdrop of the radio astronomy observatory 50-miles west of Socorro, New Mexico, called Very Large Array, Gibson sings her admiration for a Mexican flower so amazing she’s out of this world. Sample lyric: She can take root, in a barren place … she ain’t from here, she’s from outer space. You’ll want to dig out your flannel shirt and call your best girlfriend from college. 4. CACTUS TREE by Joni Mitchell (1970): Mitchell performs this paean to free women live for the BBC. A selection from her debut album, ‘Song to a Seagull’, this performance shows her at her most ethereal. Sample lyric: “And her heart is full and hollow, like a cactus tree, while she’s so busy being free, like a cactus tree …” Luminous and simply beautiful. 5. CACTUS HALLUCINATION by Dune Base (2007): This is what it would sound like if a tangy Spanish vampire were to take the mic at a disco to recite a poem about the sensual delights of cactus. Sample lyric: The hallucintation … a water soul, a foggy fruit …spongy thoughts inside.” Whenever he says, “a fuggy fwuit” I can’t help but giggle and wish I was wearing mascara. Reuben! You’re on the healing side of the surgery. My warmest regards for a speedy recovery. Thank you for pushing yourself to post for your loyal fans. Hey, Ruthie … It took an alarming number of days to finish, but I’m back — Thanks for the good wishes! Hi, Desiree, I was looking for you as well … but finally had to leave as there were so many people and no where to sit. My back couldn’t take all the standing! I was able to meet the couple who got my orange (an attorney and his wife) and they seemed genuinely pleased. I do want to meet sometime. I’ll be in touch. Thanks for commenting! I love that Pixie’s song. A friend made me a mixed tape (well, a CD but you know what I mean.) It was one of the featured songs…. I just love the imagery … and the way they spell P-I-X-I-E-S in the background! Happy soon-to-be birthday! I listened to all the songs as you posted them and after each one, I thought IT would be my favorite. Then I got to Joni Mitchell, I love her so much and, this song is no exception, that’s for sure, I thought this one was my favorite. But then I listened to Cactus Hallucination by Dune Base and before I knew, I was dancing in the kitchen. So, I guess I love them all. It’s always hard for me to have a favorite of anything. As far as your recovery is concerned, I think everyone would agree with me that you’re WORTH the wait. Once your body heals, you’ll be back full force and your friends and avid readers will be there waiting. Dammit! I wish I could’ve seen the kitchen dancing to the Spanish vampire! Love you too, Brit! My heart also has thorns. I really liked listening to the songs, especially the Pixies! I’m so glad to know you’re still hanging in there and it’s so good to read a new post of yours again. Take care of yourself. Gracias, mi amiga … Hanging in there, I am! New posts, there will be! Pixies rule! Willow, thanks for this amazing submission. Of course, I have to include this into the post … I hope you enjoy, merci! Yay I have a spiky soundtrack to listen to while I work today, thank you! Good to hear from you…of course I would have loved to read that you were 100% but “taking it easy … and healing” is the next best thing. I’m hanging in, Loree! I added another video/song submitted by a reader in France … be sure and check it out. Good to read you again, thanks for commenting! Thank you especially for the early Joni Mitchell, and where can I get that graphic at the beginning of the post with the saying “Mi corazon tiene aspinas” LOVE IT is that one of your creations? Thanks, Monica, for the comment and the compliment! I love that Joni Mitchell song, too. Doesn’t she look amazing? Hi, Peter, good to see you, too! Hope you like the songs … they’re all pretty great, each in their own way. First, all the best to you for a speedy recovery. I loved your connection from plants to music! Thanks for the good wishes, and for commenting!